Cardi B takes another shot at Nicki Minaj over album sales comparison. 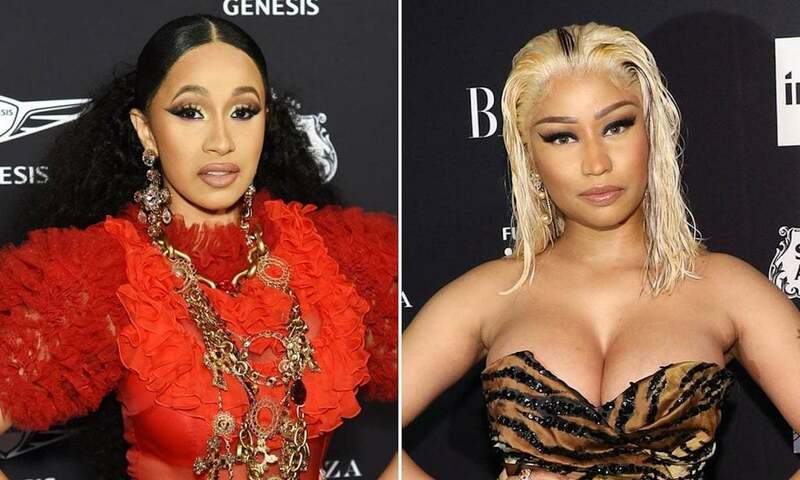 Cardi B and Nicki Minaj are now in an all-out war, and after getting physical, their beef has turned into a war of words. Nicki went off on her nemesis on her Queen radio show on Monday of this week, and now Cardi is clapping back saying that she is selling more music than her. 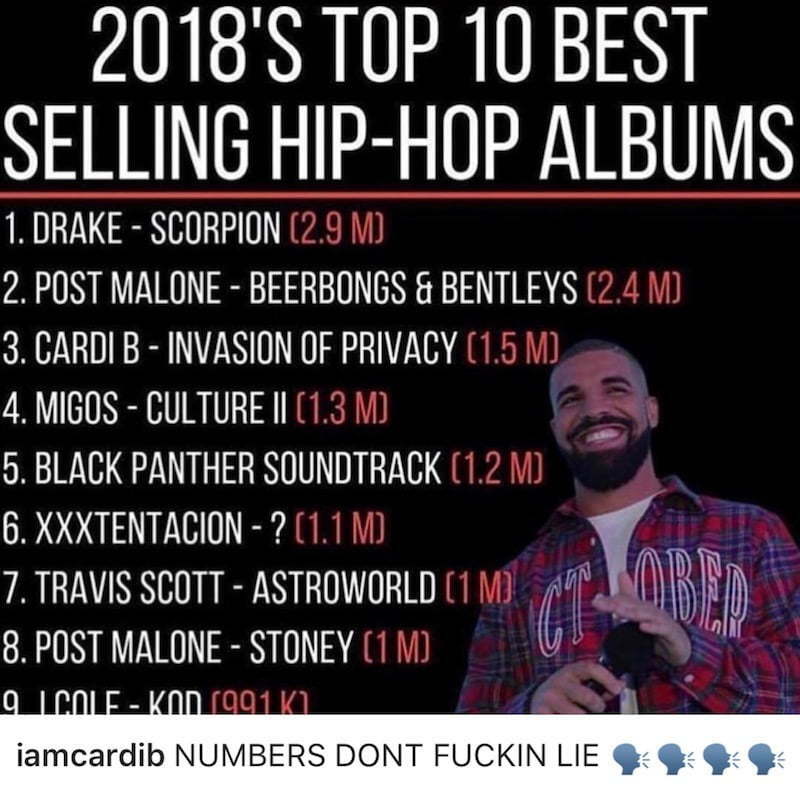 The Invasion of Privacy rapper posted an image of the top ten best selling hip-hop albums of 2018, and interestingly she made the cut while Queen was nowhere to be found. Not surprisingly, Drake’s Scorpion is the top-selling rap album this year with 2.9 million album equivalent units sold to date. By the end of this month, he will already surpass three million. Post Malone’s Beerbongs & Bentleys is the second top-selling rap album with 2.4 million units sold, while Cardi B’s Invasion of Privacy is the third best selling rap album this year with 1.5 million copies sold. Migos’ Culture II and Black Panther Soundtrack rounded out the top five with 1.3 million and 1.2 million units sold respectively. “Numbers don’t f***ing lie,” Cardi B wrote in the caption. The Bronx rapper knew what she was doing since her post sparked a renewed debate about album sales and who is the better rapper between the two females. Both rappers have their loyal fans, but it’s those folks in the middle who will determine who will come out on top. Nicki Minaj’s new album Queen, which was released last month, debuts at number two on the Billboard 200 chart and has since been certified gold. Drake is undoubtedly the king of the charts right now with a lengthy run at the top of the Hot 100 chart. The 6 God is also dominating the streaming charts as he continues to break records. Who is winning the war on the airwaves, Cardi B or Nicki Minaj?